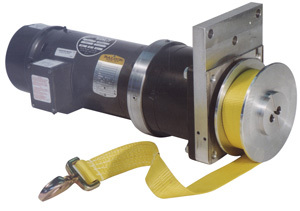 The David Round Company provides high quality hoists that work reliably in demanding environments. We excel in designing lifting equipment that is customized to fit your specific needs. 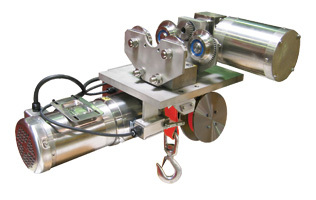 Strap hoist types include standard, cleanroom, and enclosed stainless steel strap hoists for industrial lifting. Available in carbon steel or stainless steel for cleanroom environments, strap hoists are easy to clean and do not require oiling.